We believe that Baptism is an important and wonderful moment not only for the individual and their family, but also for us as a Christian Community. 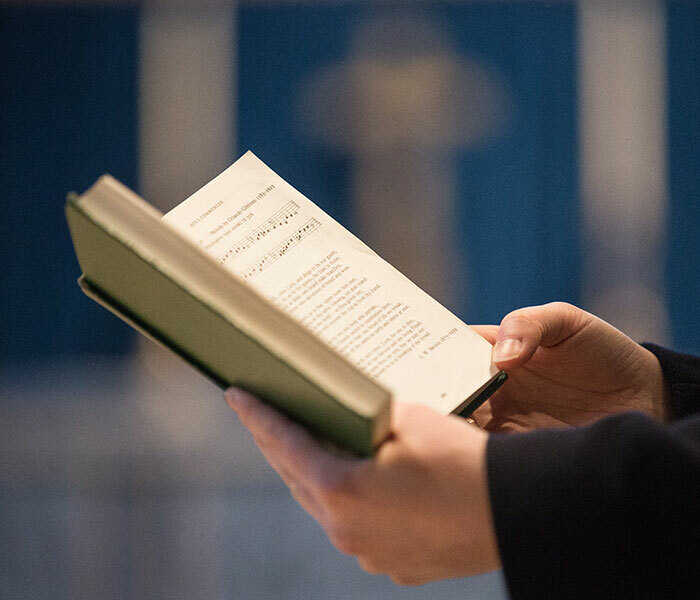 We are delighted to arrange baptisms for all who are members of the Minster community through being regular worshippers, working here or through connections with one of our military chapels. An adult seeking baptism will normally attend a group exploring and studying the Christian faith and be baptised and confirmed in the same service as other members of the group. There are normally two Confirmation services a year at the Minster, one at Easter and one at the end of November. We understand that the baptism of infants is a very important occasion for families and serves, not only to mark the reception of the newly baptised into the body of Christ, the Church, but also to celebrate and gather as a family to rejoice in the birth of a new baby. We therefore believe it is important that baptism takes place where the infant lives and in the church community that will provide the regular support the infant will need to grow as a Christian. Baptism is about the child’s future not about the family’s past. We will not normally baptise children who do not live in or around York and have no other connection with the Minster other than that their parents were married here or other members of their family live and worship here. If the Minster is the best venue for a family celebration around the birth of a child it is possible to arrange a short service of ‘Thanksgiving for the birth of a child’ which we would be pleased to arrange in conjunction with a family gathering. For more information, please contact Revd Canon Michael Smith at e: michaels@yorkminster.org or t: 01904 557211.